I'm going to keep this short and sweet, and say that you need to witness this incredible exhibit in real life, as soon as possible. 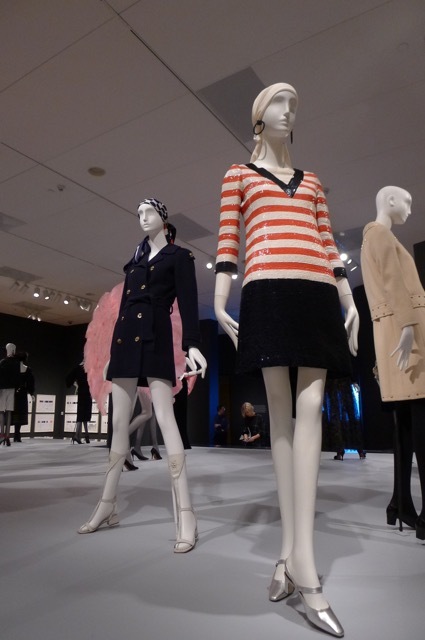 I still remember the goosebumps I got when the Yves Saint Laurent: The Perfection of Style exhibition at the Seattle Art Museum was announced at the annual SAM calendar preview over a year ago - maybe even two years now? It's been a long time coming, and I was so happy to finally see it come to life. The Perfection of Style follows the career of Yves Saint Laurent, from paper dolls and sketches he made as a teenager to his formative years at the House of Dior to the iconic designs that cemented his place among the most legendary couture designers. These are just a few of my favorite pieces from the collection. Get your tickets now to see your own favorites now!